Let's face it: most guitar pedals are not rocket science circuits. Retro-engineering a guitar effect is not difficult and a lot of folks are doing so on freestompboxes.org for instance. There is almost no possible patenting on guitar effects circuits because they are so simple. There are some American patents about guitar pedals (ex: BK Butler Tube Driver), but they have a limited time validity. Moreover, to patent a circuit you must prove its novelty and uniqueness, which is almost never the case for guitar pedasl! So there are almost no restrictions on retro-engineering and producing an existing guitar pedal. So if people want to do it, they can! Moreover, it is fairly easy to trace a circuit schematic, especially if you use through-hole parts and an analogue circuit. Most guitar pedals circuits are indeed inspired by other pedal or amps circuits. 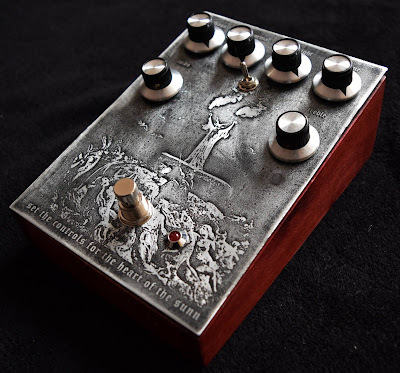 My Black Hole pedal is heavily inspired by the preamp section of the Sunn Model T circuit. And it is no big deal! Mostly the opposite: people love to know where your inspiration came from so they can also get an idea of what your pedal sounds like. You are also very honest with them and they know that you are not selling the 9999th Tubescreamer-with-a-different-name clone. So publishing your circuits is also a way to give back what you took from other manufacturers. It is also a way to be completely honest with your customers. So when publishing your circuits and selling your PCB, you actually address a different market with new customers. You should not see it as "undermining" your business, but rather expanding it! I think it is also very satisfying to see other people building successfully your circuits with other designs, modding it or even adding new features to it! 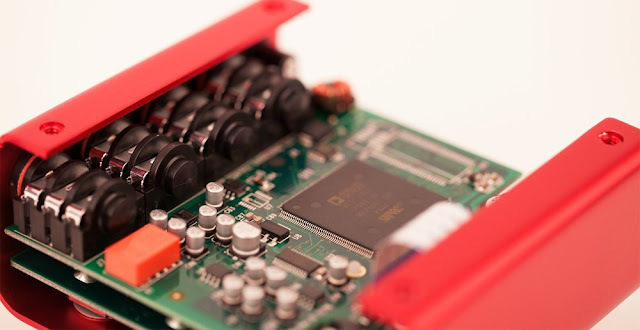 When you publish your schematic, people with a bit of electronic knowledge can realize easily how much work and electronic knowledge went into it. If your work is legit, people will know that "you know what you're doing" and that you not a 9999th guy selling veroboard clones. People will KNOW that you are not joking around 😎 Always publish gutshots! If you publish your schematic, people will know that you are the creator of the circuit and not people making it as well in a different form. It will put you in a very legitimate position to sell your effects. What do you think? Did I make the wrong choice? My question is, what would be the arguments for not being transparent? Well, from the commercial point of view, it is sometimes more beneficial to hide your influences. I think Vemuram is doing pretty well for instance. Paul Cochranne decided to publish his circuit of the Timmy and got ripped off by Vemuram for instance. I certainly think you made the correct decision - and I for one have contributed to your business by buying boards off you, which are excellent quality (at least as good as, if not better than some commercial units). As you say, there's little short term gain in trying to hide what you do, as ultimately you'll sell it to someone at some point, and then you've effectively given away your design. On top of that there's a great feeling in being part of a community which shares and helps each other (and, for the Europeans amongst you, as a Brit. I did not vote Brexit! - perhaps if there were more pedal builders in the UK the very narrow vote would have definitely gone in favour of remain!) 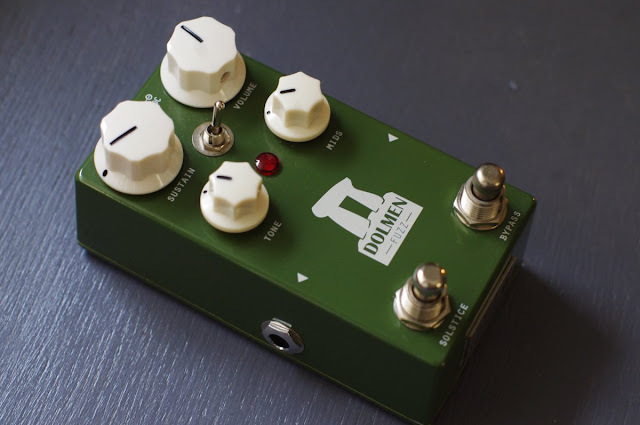 and ultimately I feel the openness has helped the whole pedal business move forward an immense amount over the last few years - it certainly has helped the available choice of pedals grow a lot, which ultimately must help creativity. But, please do be ultra careful on the statements you make (see my comment on your tonebender page - its not called mk3 because of 3 transistors). Wow did I really write that? On my way to correct it, maybe an English mistranslation. It would be problematic for the Tonebender mk1.5 haha!